Mattel’s 12 inch Halo figure series showcases each in a tall slender box with the top half of the figure showing through a window. On the back several of the other figures in the series are shown. I got ahead of myself here and had taken Chief out of the box before taking pics of the figure in the box. Normally there is a thin clear band that holds the figure up higher in the box. 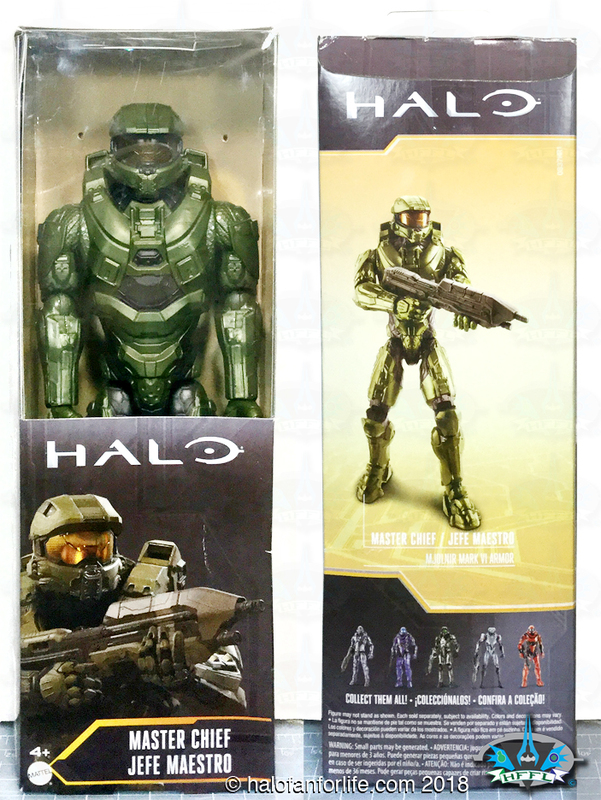 The two holes to the sides of Chief’s head in the cardboard are where the band slots in to.